OMG Posters! 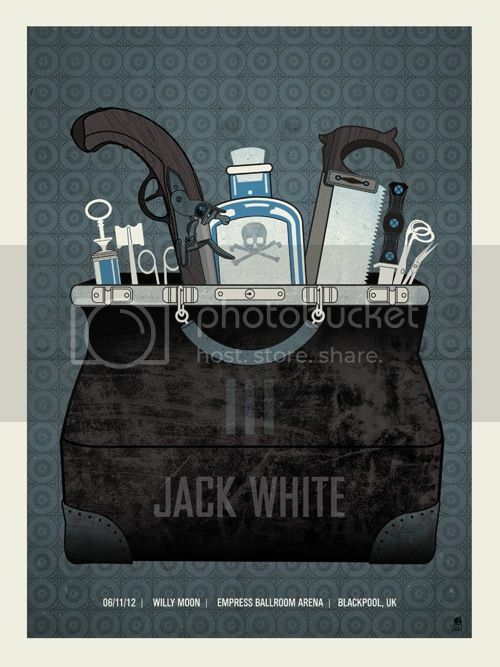 » Archive Exclusive: Tonight's Jack White Blackpool Poster by Methane Studios - OMG Posters! 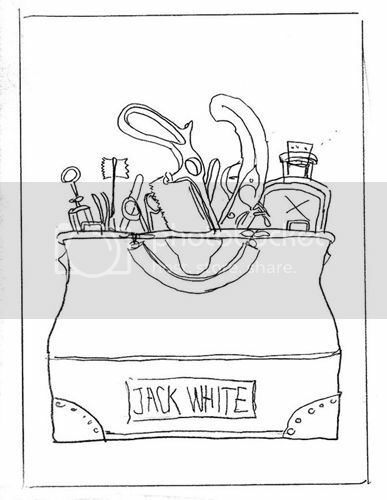 Here’s another great Jack White poster by Methane. This one’s for Blackpool and is, again, an 18″ x 24″ limited edition screenprint. It was at the show tonight, then online eventually. Enjoy! Eh it’s methane. Their efforts, or lack of has saved me a ton of money. Eh, it’s Elmo. Cool story bro. Murder bag is cool. Methane rules. Cool print but why do artists feel the need to show their concept sketch nowadays? I dont care what the cow looked like before u butchered it, i just want a cheeseburger!